This one wasn’t too difficult to execute, as Glenn at the time was coming into the studio to contribute to the live daily shows. He stayed after one day to record a show with me. 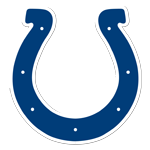 He had retired from the Colts at the age of 31, admitting he had lost his passion for football. It wasn’t surprising, because he was capable of surviving outside the NFL, and wanted to remain healthy for his family. He had been a first-round draft pick, a starting left tackle on a Super Bowl champion and had played in Pro Bowls, so there wasn’t much left to accomplish other than avoiding more knee injuries and concussions. My primary takeaway from the conversation was his account of how a recruiter had lied to him about the position he would play at California. He was switched after arriving on campus, but stayed anyway. It illustrates why recruiters will lie to high school kids. The idea is to just get them on campus, and then hope they don’t transfer when you switch them to the position you need them the most. Glenn helped keep Peyton Manning upright for a few seasons. For that alone, Colts fans should be grateful.